Produktinformationen "Makeblock-f16 Cylinder Bracket L1"
φ16 Cylinder Bracket L1 is suitable for cylinders with a bore size of 10mm (such as Makeblock Double Acting Mini Cylinder MI16X100CA). 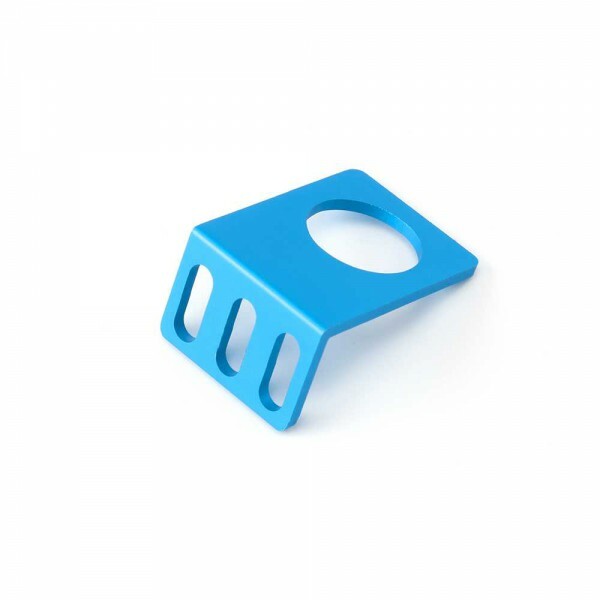 As a L-shaped bracket, it can be installed on the head, the bottom, or both sides of a cylinder. The long-hole design ensures the bracket to be compatible with Beam0824 and Beam 2424, hence realizes the function of fixing the cylinder. Length of the long hole: 8mm. Weiterführende Links zu "Makeblock-f16 Cylinder Bracket L1"
Kundenbewertungen für "Makeblock-f16 Cylinder Bracket L1"